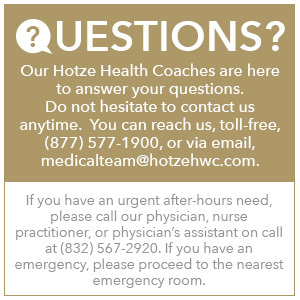 How does Hotze treat airborne allergies? We treat allergy by using the old adage: “Fight fire with fire.” By giving a dose, either sublingually (under the tongue) or by injection, of the very substances to which a person reacts when he inhales these substances, we can build up a good blocking antibody, IgG, which blocks the allergy reaction. The allergy treatment is an immunization, which desensitizes the individual to the allergens to which he is reacting. When will I receive my first vial of allergy drops? Typically, you should receive your first vial of drops 6-8 weeks after the initial blood sample was collected. How do I use my allergy drops? For the first week, dissolve 1 drop under the tongue once per day. Starting the second week, dissolve 1 drop under the tongue twice daily. Starting the third week, dissolve 1 drop under the tongue three times per day. The drops are most effective when taken three times per day instead of all at one time. Overall, the more they are split, the better they work. If 3 drops are done together, they will still help. However, the more they are split, the better they work long-term. How do I schedule airborne or food allergy testing? Call the front office at (281) 579-3600 or (877) 577-1900 and request this testing be ordered. Dr. Sheridan explains airborne allergies and how to use allergy drops. Amber Littler, PA-C, explains food allergies.